How did the skyball not dominate the Olympics? This skyball serve would probably have been more effective if the sun was out. 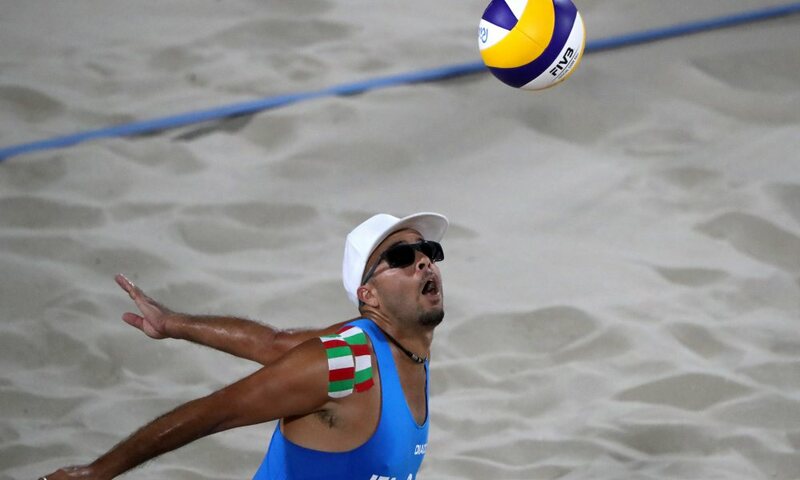 Italy's Adrian Carambula and his partner were knocked out in the round of 16 in the Olympic beach volleyball tournament (by the other Italian team, coincidentally). I was hoping the skyball would be the biggest story in Rio, but apparently it wasn't meant to be. Also, whoever is in charge of writing snarky comments for @nbcolympics on Instagram should probably be axed (as well as the person who didn't think to show excessive amounts of skyballs in primetime). That serve goes 100 feet in the air (literally) and Carambula is the only guy on the planet who can pull it off at this level. It's a totally unprecedented thing to do, yet this person acts like it's a hanging breaking ball over the middle of the plate that he/she has seen crushed for a home run a million times before.